I have to admit, when I first heard about these new Aussie Lockers, I was as skeptical as the next guy. 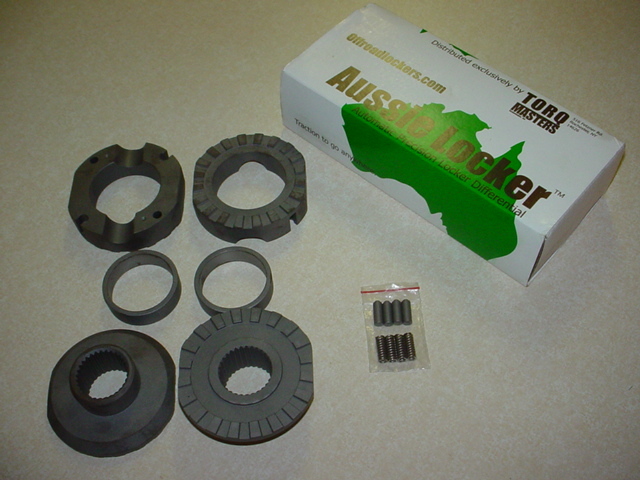 Through some discussion here on the Toyota section of the Pirate4x4.com BBS, Bill Cole from TORQ Masters - the US distributor of the Aussie Locker - agreed to send me a unit for testing and review. I was more than happy to do it! At first glance, you probably have the same response that I had when I opened the box. Yes, this locker is of similar design to others already on the market. Bill was quick to address this by explaining that there are several design improvements that he felt made his product superior to similar ones. I noted his claims, and resolved myself to see if what he said would hold true under installation and testing. The unit I received for testing was designed for the common Toyota 8" differential found in the most popular Toyota trucks and 4Runners. 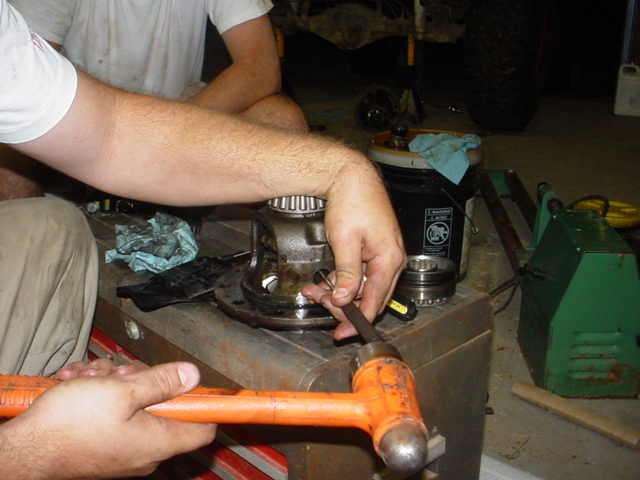 We would be installing it in the rear of a 1987 Toyota 4Runner ( with a solid axle swap & 37" MT/R's) that had been previously running a welded rear differential. I noticed several things upon first examining the contents of the box. The first thing I noticed was the installation instructions and product documentation. WOW! There was no small 4-5 page installation "overview" written by lawyers and technical writers. 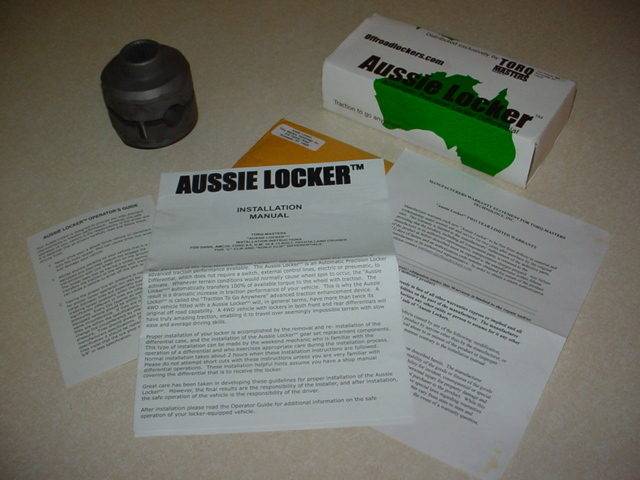 What the Aussie Locker comes with is a set of installation instructions that are written in clear detail and read like you want instructions to read! This kind of information is appreciated, and should help the shade-tree mechanic who wants to install this locker at home feel very confident after reading through their instruction book. Setting that aside, I took a good look at the locker itself. All parts arrived clean, precise, and bench assembly showed that all parts fit together as intended. I won't bore you with the details of the actual installation - this is intended as a review of the product, not an installation guide. 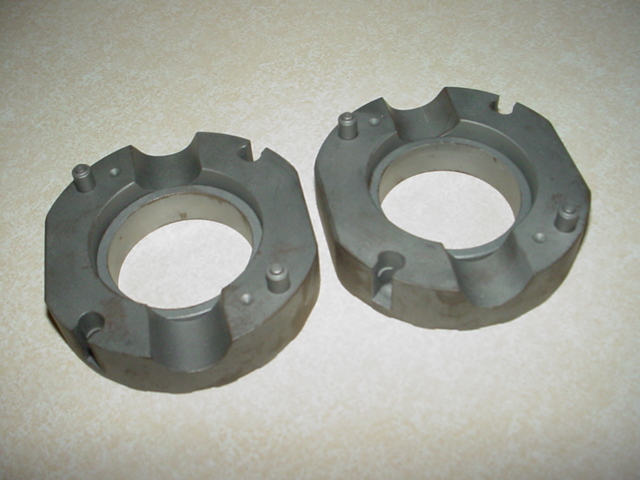 However I will mention that we found it necessary to clearance the stock differential "window" somewhat to have enough room to install the locker into the differential case. 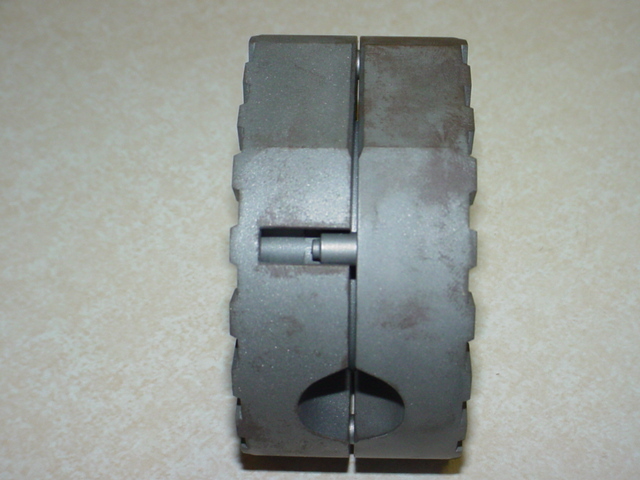 This seems due to casting variances in the differential itself, and took only a few minutes with a dremel to resolve. Other than this slight delay, the locker was easy to install, and took only a few hours at a leisurely pace. 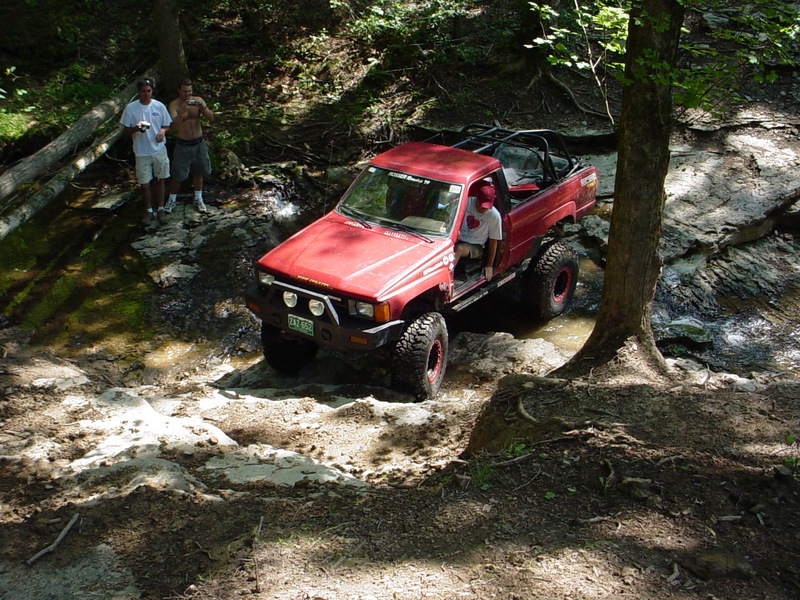 Once we had the Toyota 3rd member installed, everything hooked back up, and fluids added, it was time to take it for it's first drive. Pulling out of the shop, you could already see the locker was working, leaving slight rubber scuffs on the concrete. Once outside and in the grass, we were met with a single loud "pop" when turning to the left, then one more when turning to the right. We were initially concerned, but I am willing to bet these noises were only the initial operation of the locker without the differential fluid having fully lubricated all surfaces of the locker. Our first testing was done with several miles of road driving. Even the first turn out of the driveway showed evidence that TORQ Master's claims of reduced operating noise were correct. 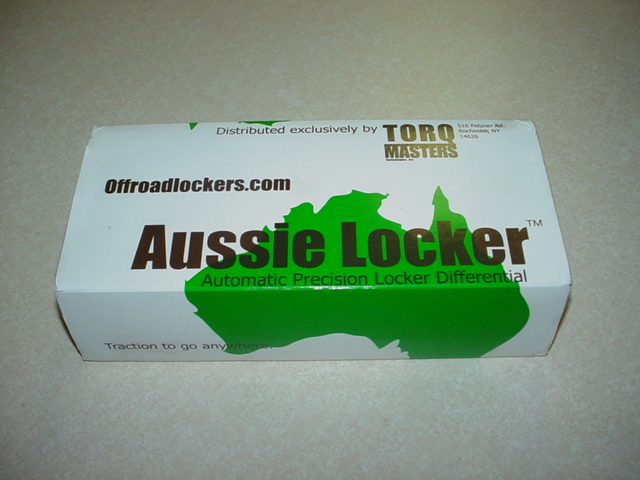 Where some other lockers have a noticeable "click" when turning, the operation of the Aussie Locker was barely audible. Highway operation was similarly up to TORQ Master's claims of a smooth operation and ride, with no jerks or dangerous darts when getting on and off the throttle. Needles to say, after years of driving this vehicle with a welded rear differential, the owner was very pleased with the manners of the Aussie Locker and commented that he may actually enjoy driving it on the street again. I will be honest, I wanted to see what this locker could take off road. 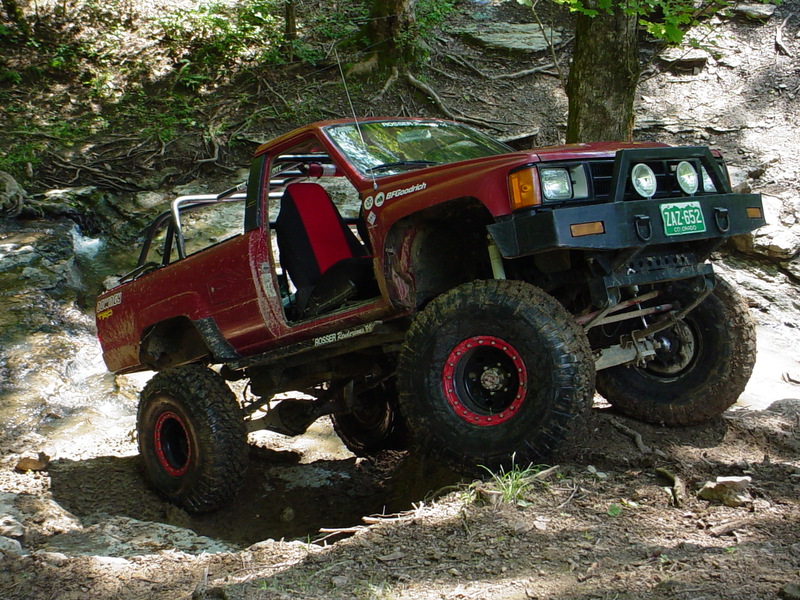 A small group of us set out to test the locker on some obstacles at a local off road park, on one of their off days.. Out testing included loading the rear axle on steep rocky climbs, ledges, and loose debris. At times, the rear of the vehicle hopped, coming down hard with tires spinning. Not once did the locker make a single noise of complaint, and always firmly locked both tires together when it should. Tight turns and switch-backs were another setting where the vehicle owner was extremely happy with how the locker performed. 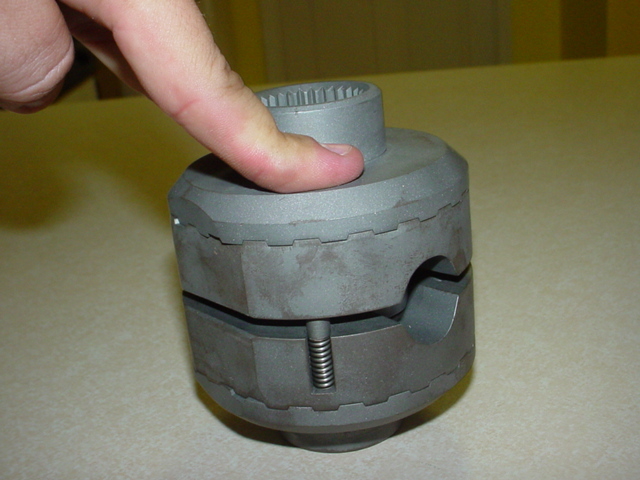 It unlocked when needed for turning, but always gave the locked traction when needed for tacking the obstacles. Again, I have to re-state that throughout the operation of the locker, only someone looking to hear the sound of the locker's teeth ratcheting would be able to hear a sound from this locker - it is truly that quiet! Even after a month of trail and road use, the Aussie Locker is still performing flawlessly. Road use is still virtually noiseless, and on the trail the locker does it's job wonderfully. I think TORQ Masters has a winner with their Aussie Locker. They have taken this type of locker and made it better than before. Ease of install, quiet operation, and very reasonable cost combine to make the Aussie Locker a very attractive differential locking device. And don't think that the Toyota 8" locker is their only offering, they already have lockers available for several popular differentials, and are rolling out product for new ones on a regular basis. You can order directly from their web site on the link below. I think TORQ Masters and their Aussie Locker are names you will be hearing more about in the near future!